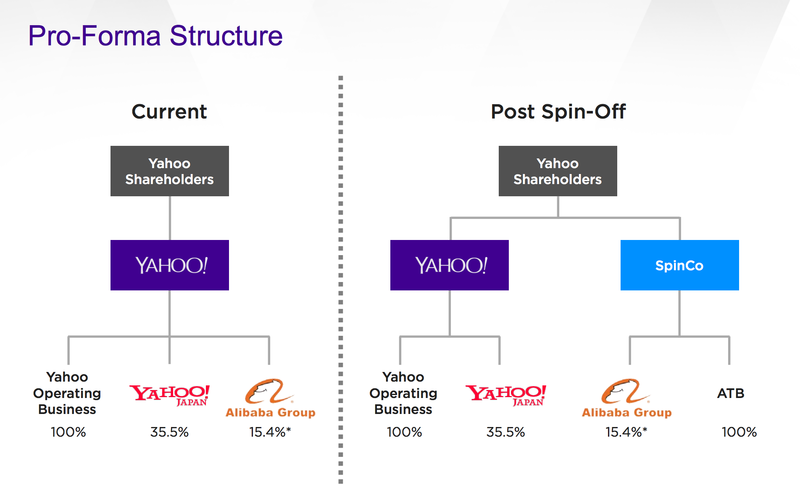 Yahoo is splitting its remaining Alibaba shares into a separate company called SpinCo. The move will help Yahoo avoid the tax pitfalls of the investment. The news came Tuesday as Yahoo reported its fourth quarter earnings. In after hours trading, Yahoo’s stock price increased as much as seven percent. Investors clearly approve of the plan for the cash. At the end of the call, she hinted that the company might build or acquire more messaging or communication applications because it builds on the company’s native, social and email strengths. This story has been updated since publishing with information from the earnings call.